The first issue, volume two of AIMed Magazine, the ultimate compendium of clinician, technology, and business expertise. And much, much more. Subscribe now for a print and/or digital copy. Our aim is to ensure that as many people as possible have the opportunity to see the AIMed Magazine. And for this reason, the magazine is free to you whether you choose the digital or print edition. As you can appreciate, there is a lot of time, hard work and money that goes into creating every issue for you. If you like what you read and you would like to contribute to help us to deliver the next edition, then you can support us from as little as $5. It has been my honour and privilege to work with the passionate, forward-thinking clinicians and technology experts who feature in this publication. 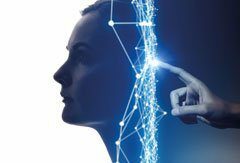 During this historic moment of data and privacy scandals, I’m proud to edit a technology magazine showcasing the work of brilliant, humane and ethical innovators who will hopefully give readers faith in the future of AI. 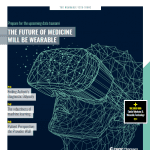 AIMed Magazine positions you at the heart of a profound event in the history of medicine – the moment where AI is translated into the clinical setting. What you’ll hold in your hands (real or digital) is the complete conversation on AI in medicine. We’ve created an essential compendium for anyone who wants to take their understanding to the next level. You are reading this because you realise the time has come to re-examine your profession with a fresh (perhaps robotic) set of eyes and unlock the powers of the future. It’s my honour to welcome you to the AI vanguard.